I really liked the look of this book. I actually took it to work to read and some of my staff wanted to read it after me, which is something. It's a super cool book with a quirky style sketch on the front and even more super sketches, in the section marked this notebook belongs to: Vincent Shadow, showing all his mad toy inventions. 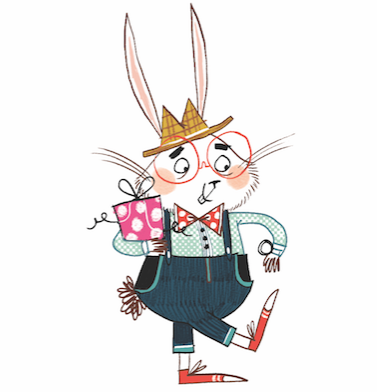 I loved the simple story which had all the imagination of the 'great' Roald Dahl. It's about a boy extraordinaire, who has the creative mind of a genius misunderstood. When his dad re-marries (after his mum dies) he finds himself with three stepsisters and a stepmum, who is not the warmest person towards Vincent. So he finds himself leaving New York, his secret toy laboratory and his inventing days all behind him. This is a good, refreshing story which leaves a great taste for the reader. I did find some characteristics similar to the Blue Balliett books. This book is aimed at 8-12 year olds but will appeal to everyone. I give this book four out of five, only on the account that I wanted so many more pages to read. I am definitely looking forward to reading the next episode. Eleven-year-old Vincent Shadow dreamed of being a toy inventor. He had notebooks full of ideas bubbles that carried sound, rockets that pop into kites, and a football that would rather bite than be caught. Unfortunately, the secret attic lab where Vincent built his prototypes had seen more disasters than triumphs. But a chance encounter with eccentric toy inventor Howard G. Whiz, and the discovery of long-lost inventions by one of the world s greatest scientists would change Vincent s life forever. 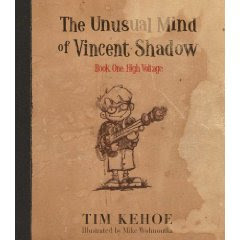 Written by award-winning toy inventor Tim Kehoe, The Unusual Mind of Vincent Shadow is sure to delight young readers and send their imaginations soaring! Tim Kehoe is the inventor of numerous toys, including the world s first colored bubbles Zubbles, which won Popular Science magazine s Grand Prize for Innovation in 2005. Recently named one of America s 100 Best by Reader s Digest, Tim lives in Saint Paul, Minnesota with his wife and five children.